Success at this year’s Ulster Grand Prix was looking a bit thin on the ground for Pirelli after Dunlop riders Ian Hutchinson won three races and Keith Amor had won one. But Bruce Anstey took the final Superbike race and set a new lap record of 133.977mph on his Pirelli-shod Relentless by TAS Suzuki. MCN asked Pirelli’s Steffen Baum to explain the idiosyncrasies of making racing tyres work on the international road courses. "To get the superbikes working on the pure road courses, especially one as smooth as the Ulster, the teams tend to take most of the damping off and let the actual spring (of the forks or shock) do all the work. "That means the tyre has to be really stable and if it’s not, that’s when you see the bike wallowing around and the rider has to back off the throttle. "The biggest difference between the Pirelli tyre and our competition is in the tyre construction. "Their tyres have a cross-belt construction, which is stiffer and is more stable under braking. Our tyre has a zero steel-belt construction which, we believe, absorbs bumps better. "But because the tyre absorbs bumps rather than the suspension, it doesn’t give the same feedback to the rider. And riders new to Pirelli generally complain about a lack of feel. "The best way with a Pirelli is to carry corner speed. That way you can maximise the drive grip. The flex in the tyre gives a slight delay (in transmitting the power to the ground) but allows the power transfer. "Our technology suits racing on the road courses. Okay we’re not so good on heavy braking but you need stability in the tyre, damping and durability on the roads. 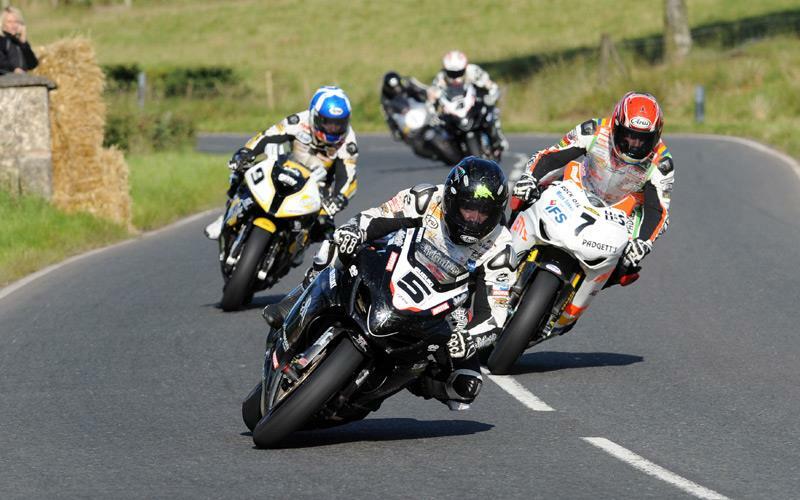 There is less harsh acceleration and therefore less stress for the tyre at the Ulster…. and the TT. "It is much more related to our road customers than short circuit racing. "There really is no limit to tyre design. We can alter the material and design of wire we use for the belt. We can make sidewalls stiffer or softer. We can add material or reduce it. We can alter the rubber on the tread or in the sidewalls and that will dramatically change the behaviour of the tyre. "By altering the sidewall from 8mm to 10mm it will give a totally different feel. And even if we keep the sidewall the same, we could just change the rubber and it will feel different. "There are so many variables. Some riders want more flex to increase drive, some want less. "We bring different options to the races. At the Ulster Guy Martin had different specification tyres to Bruce Anstey and Cameron Donald – yet even the two TAS riders were very different - Bruce is very smooth and Cameron is very aggressive. "We generally offer three options, and start with the hardest and generally go progressively softer as the riders go faster. "At all three international road races the tyres have a special centre compound for sustained high-speed running." Rain is a constant threat in the real world. Not a problem if you’ve chosen the right rubber. WHEN you’re talking about GPs and WSB, Michelin and Dunlop are the only names that matter in tyres.